You will be notified as soon as this product becomes available. Your order will ship MONDAY if placed in the next 2 hours 56 minutes . Enter your shipping address zip code to receive an instant delivery date estimate from UPS. Armscor Precision 22 Long Rifle Ammo 36 Grain High Velocity Hollow Point ammo for sale online at cheap discount prices with free shipping available on bulk 22 Long Rifle only at our online store TargetSportsUSA.com. Target Sports USA carries the entire line of Armscor USA Ammo for sale online with free shipping on bulk ammo including this Armscor Precision 22 Long Rifle Ammo 36 Grain High Velocity Hollow Point. Armscor Precision 22 Long Rifle Ammo 36 Grain High Velocity Hollow Point ammo review offers the following information; Support the USA with this American made Armscor 22 Long Rifle ammunition! Armscor cartridges and components are used worldwide by the police, military, gun hobbyist, combat shooters and other shooting enthusiast due to its high quality, precise and dependable performance. 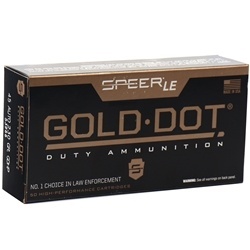 Known for making high quality and still affordable ammunition, this 22 Long Rifle ammo is an excellent choice for target shooting or an all-around plinking round. This Armscor USA 22 Long Rifle ammo is loaded with a high velocity 36 Grain hollow point bullet. Armscor rimfire ammunition, an ISO 9001 certified company, is made of high quality components and meets SAAMI, CIP and other military or customer desired standards or requirements. This highly regarded 30 Carbine U.S. production ammunition is competitively priced and made of quality components. 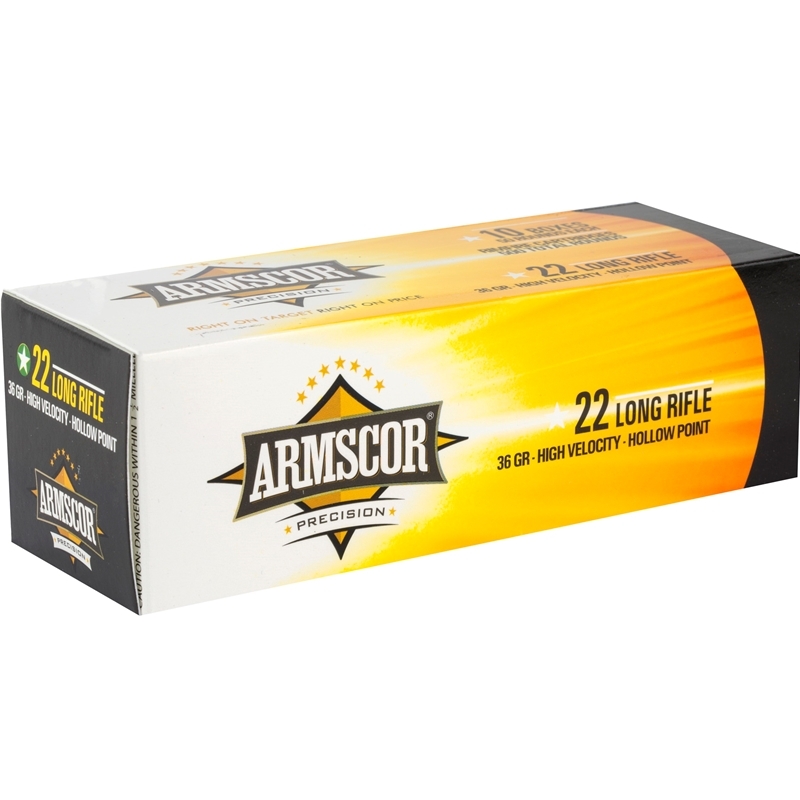 Armscor Precision 22 long rifle ammo is new production, non-corrosive ammunition that features brass cases and boxer primers. Armscor USA ammo is packaged in boxes of 50 rounds and cases of 5000 rounds. Purchase a case of Armscor Precision 22LR bulk ammo from Target Sports USA and receive free shipping! Armscor precision ammo ran great through my binary AR and both my 22 pistols. Very high quality ammo for am awesome price at TSUSA. No complaints and runs fine in Ruger 10/22 and Marlin 60. Thanks again Target Sports for the best deals and service online. I have been a Target customer from California for many years and they are one of the first stores to support and sell to CA with bogus Ammo restrictions. Thanks again Target Sports team and keep up the Excellent work. Filthy ammo ,fouls up cylinder on my S&W model 63 after only 50-75 rounds. Bullets will not chamber after this and cause problems with cylinder rotation! Armscor USA ammunition for sale online at Target Sports USA. We, Target Sports USA, carry the entire line of Armscor ammo for sale with free shipping on most items. Armscor product lines include Armscor Handgun ammo, Armscor Rifle Ammo, and Armscor Rimfire ammunition and many many more. Order any case of Armscor bulk ammo at TargetSportsUSA.com and shipping is free. Target Sports USA also sells Armscor newest product lines of ammunition such as Armscor USA Ammo, which is made 100% made in the USA. For all your Armscor ammunition needs, visit Target Sports USA for the best deals on Armscor bulk ammo for sale, where when you bulk in bulk, shipping is free! Armscor ammunition is known for their high quality components used to manufacture ammunition including state of the art technology. Armscor ammo features 100% virgin brass casing that can be reloaded if you reload your ammunition, non-corrosive primers and lead core bullets that is ideal for any high volume shooter and available on most popular ammo calibers such as 223 Remington ammo, 308 Winchester ammo, 7.62x39mm ammo, Armscor 22LR ammo, and Armscor 22 WMR ammunition. Order any Case of Armscor USA bulk ammo online at Target Sports USA and receive free shipping.